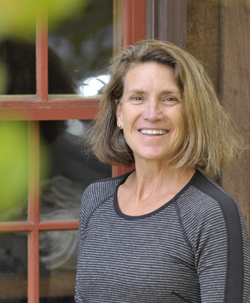 After almost three and a half years with the city of Ketchum, Planning Manager Joyce Allgaier is leaving to work with mountain and resort consulting firm SE Group at its Breckenridge, Colo., location beginning Nov 10. Among her accomplishments as planning manager is a successful rewrite of the city’s comprehensive plan, she said. “[It] captures the real future vision of Ketchum citizens after involving over 700 people in the process,” she said. Allgaier’s co-workers credit her with improving communication among city departments, an emphasis on community development and improving fairness and efficiency in city code and processes. Allgaier came to Ketchum after living and working as a city planner throughout the country, originally hailing from Connecticut. With stints in Aspen, Gunnison and Snowmass Village, she spent a large part of her life in Colorado and forged many connections and friendships there. She moved to Ketchum in late spring 2011 with her youngest child, Gunnar. The firm did Sun Valley Co.’s master plan, she said, and has worked with 85 percent of the country’s ski areas. It has multiple locations, and Allgaier’s new job as lead community planner will entail travel. She said she wishes nothing but continued success for her co-workers at the city of Ketchum.